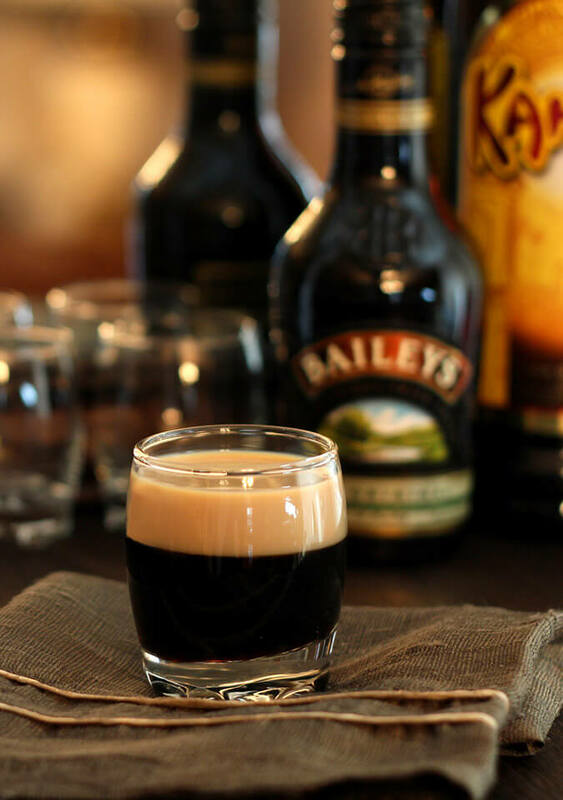 This Baby Guinness Cocktail is fun and deceiving; it’s actually an after dinner drink made by layering Bailey’s Irish Cream and Kahlua! My daughter Emily shared a photo of this cocktail (well really a shot) with me last week; I have to admit I had never heard of it. Still, I thought it was not only so cute but just perfect for St Patty’s Paddy’s Day. You might wonder what the big deal is about putting a beer into a small glass and calling it a cocktail but hold on my friends…there is more to this than a first glance will tell. I wanted something quintessentially Irish since I’m part Irish. What could be better than a little mini pour of Guinness right? Well, except it’s not really Guinness. Nope…it’s simply Kahlua topped with some Bailey’s Irish Liqueur. Whew…at least I have that old Irish standard included or this Baby Guinness would hardly qualify as a cocktail for an Irish holiday. Wait…don’t tell me that Bailey’s isn’t really Irish? OK, it’s sort of like me; part Irish. Over 75% of the raw ingredients and packaging used to make and present Baileys is sourced from the island of Ireland. The cream is fresh dairy cream that comes from pasture fed cows in Ireland. The whiskey is Irish Whiskey supplied from a number of distilleries including The Old Bushmills Distillery, County Antrim. That would seem to substantiate authenticity (except for that elusive 25%) but the truth is that it’s not some historic brew that’s been around since the days of St. Patrick so while good and thankfully NOT green, it’s a late addition to the party; debuting in 1974. Truth be told, it seems folks in the US have a propensity for taking over holidays and making them their own. Do you know that corned beef and cabbage is not a big deal in Ireland? Made available primarily in locations that serve a big tourist trade, it’s not something that the regular folks in Ireland consider all that important. The colcannon I made earlier this week is a more traditional Irish dish and in my mind, certainly a more delicious one! I have no idea if this ‘Irish Coffee’ cake is authenticate or not but I sure love it and it’s a part of our ‘Let’s be Irish’ day!! For some additional examples of ‘Irish but not Really,’ check out this post from Mouth From the South; it made me smile. No blarney! Whether Irish or not…I really liked this. It’s not just cute, it’s a sweet ending too. Fill a shot glass 2/3 full with coffee liqueur. Pour the Irish cream over the back of a spoon, down the inside of the glass. It should layer on top of the Kahlua and form the 'head' that makes it look like Guinness. I liked them cold so I put the bottles into the freezer for about 30 minutes before making the cocktail. The last time I had this I was very young! Just being reminded of it makes me want one. Lovely photos. Thanks Maureen…they are pretty wonderful. 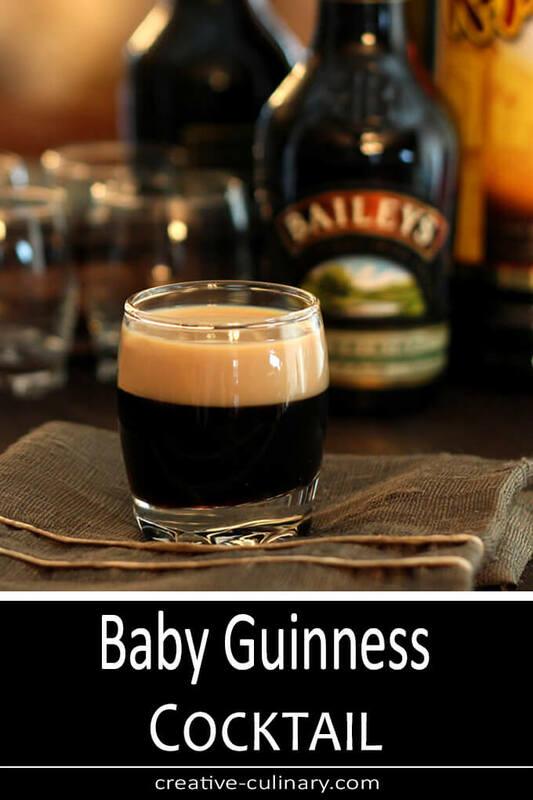 I actually love Guinness and now I love the baby too! Been making this for years and years…not many friends of mine have ever heard of it when I bring it out for the first time. Glad you discovered it! I have to admit I just thought it so doggone cute…but then I made it and also loved the flavor combination…it’s a keeper for sure. I’m all for sweet endings! This looks great Barb and perfect for sitting and *sippin*. Hope you enjoyed a lovely St. Patrick’s Day. I know…love that it does look like Guinness but is not; that was a big part of the charm. I loooove Guiness, and Irish cream. This is my kind of baby cocktail. It looks perfect in that glass. Love this drink! This is a cocktail I could definitely make and have no trouble enjoying! You know I’ve been keeping my eyes out for those sweet smaller pilsner glasses that we saw at The Tap Room at the Omni but have yet to come across them. I know you’ve said you really don’t need any more glasses, plates, and stuff but this drink would be perfect in those glasses too! I loved those glasses…we have to find them somewhere…and then when we do we would probably have to buy 10 dozen or something. This is good; I should make one for you…just yell. Ok… this is downright adorable!!! Definitely better than green beer anyday! Love the idea of putting the bottles in the freezer – never thought of it, but since I like drinks like this one cold will definitely have to remember that tip!! I actually enjoyed the cocktail but I can not deny…the cuteness factor was what got it on the blog! HA! Gotcha…which of course was the plan! I love baby guinnesses and these look amazing! We’ve been drinking them for months now! You can also use coffee flavored tequila (XO Cafe Patron) instead, that’s what we’re serving up in Texas! Just make sure you’ve had it sitting in the freezer first, you want it really cold! So glad you shared these!!! 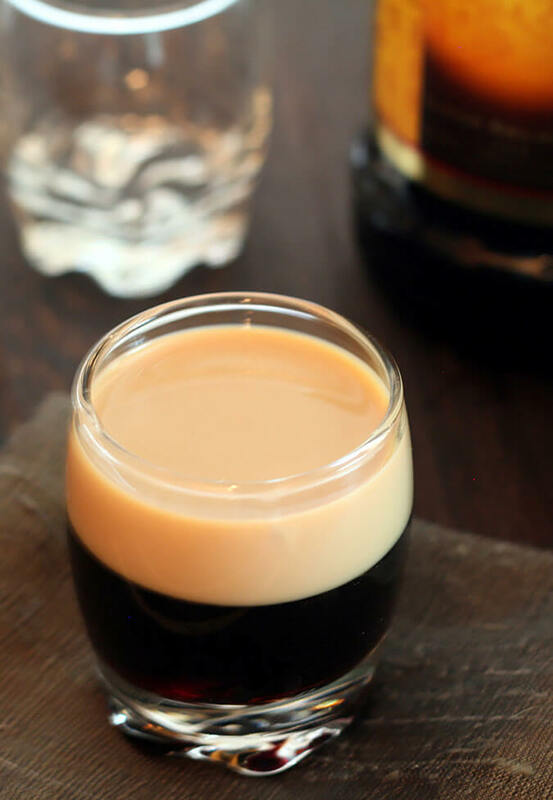 This is pretty clever – good pairing of ingredients, and it really does look like Guinness! Fun drink – I’ll definitely have to remember this for when I have both of the ingredients on hand. Or maybe go out and buy them just to make this drink! Good stuff – thanks. On another site someone gave me a recipe for a Baby Beer. Guess I’ll be doing that next! Looks delicious!! 🙂 I’d have a couple of these any day! 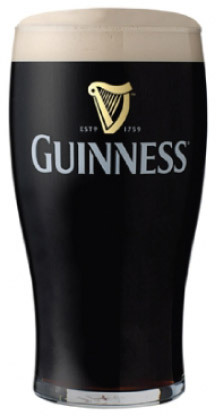 This sounds way, way better than Guinness if you ask me! Love this! Really does look like a teeny little Guinness, doesn’t it? And I loved the Irish but not Really post. Happy St. Patrick’s Day to you. Erin go bragh! I know? Thought it was just too cute and I’ve heard from several people that they actually serve these in Ireland too. Sounds dee-lish. I was in Dublin this last year and learned a local favorite for those who think Guinness is too strong, they’ll add a little Ribena blackcurrant liqueur and it’s surprisingly good! We have it at Tony’s if you want to try. Slainte! Oh yeah! Where would we be without our daughters around to show us the finer things in life? Give her my thanks for this one. YUM! This looks like the perfect friday drink!